Heavenly Father, Your grace is all I need. Thank you for the undeserving grace that You pour upon me. I know when I am weak that’s when I am strong (2 Cor. 12:10). Forgive me when I get in the way of Your mighty work. Forgive me when I try to do things in my own strength and let pride take over. There is nothing I can do without You and there is nothing I want to do without You. I pray for those who are caught up in their own pride, Lord. I pray for those who are not hungry for You because they’re too full of themselves (myself included) I ask You to break down their walls and reveal Your grace to them. Help them to see how their strength pales in comparison to Your power and give them a desire for You. Please go before me this week, Lord. Help me to have a grateful and humble heart. 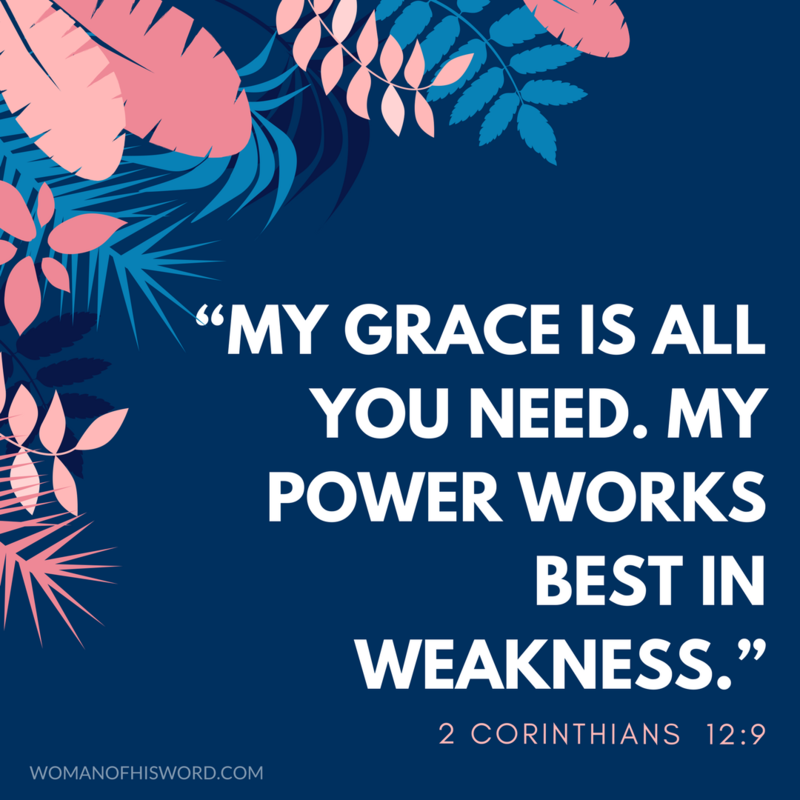 Help me to embrace my weaknesses and allow You to work through me. I pray in Jesus’ name, amen.